I want those shrimp! Those look so amazing. 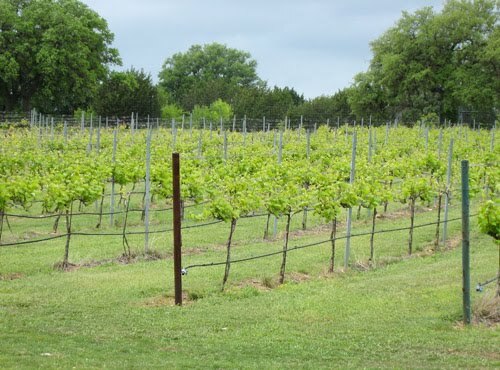 How interesting Lisa, I remember when Austin was an (almost) sleepy little town when I lived there and now boy has it grown and become sophisticated; the bluebonnets look beautiful and the shrimp too! What a beautiful place! That shrimp looks amazing. A beautiful place! Lovely foot! So jealous! Wow the spring flowers ARE showing off this year. At least all that rain/cold paid off... Can't wait to try that Mighty Cone/Hudson crust! 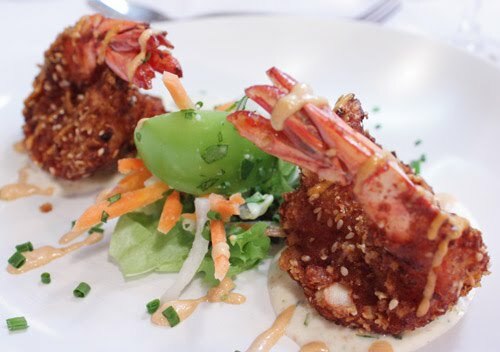 Crunchy shrimp is a plus in my book. I love the photos of the flowers. One of the reasons why I love spring. I can picture myself eating in a place like this. Food will taste so much better. 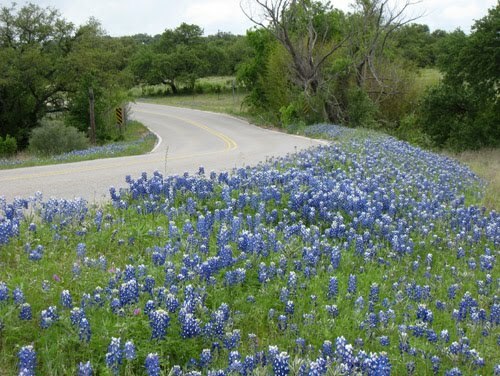 Love the photo of the blue bonnets! Sounds like the perfect afternoon. The shrimp look incredible. i can only recall one time that i ate shrimp without my stomach revolting, and it was covered with a crunchy coconut coating. this batch sounds like something i might enjoy too, especially with that aioli! They sound amazing. How were the tomatillos prepared for the salad - just sliced raw? Never having heard of the Mighty Cone I did some googling. And I assume the trailer part of things means they take their "cones" on the road. The recipe sounds delicious, Lisa. And those bluebonnets are gorgeous! AOFitP: Yes, the tomatillos were sliced raw, and they added a tangyness to the flavors. Barbara: Some of the local trailers are mobile and some are parked in semi-permanent spots. The Mighty Cone is one that's parked on South Congress, and at that location, there are several other parked food trailers as well. What a beautiful place to visit and the recipes sounds amazing. What a bunch of pictures and those shrimp...yum! Wow, what a beautiful place to enjoy a delicious meal. The shrimp dish sounds marvelous, but it's the countryside that's captured my attention. It must have been a lovely day! What a wonderful sounding field trip and with scenery like that I could drive all day. Of course if I knew I'd have that tasty looking shrimp dish waiting for me, I might hurry things along. What a beautiful place! Love the look and sound of those shrimp. Delicious! You have a good life--fun trips, delicious food! Those shrimp look hard to resist.